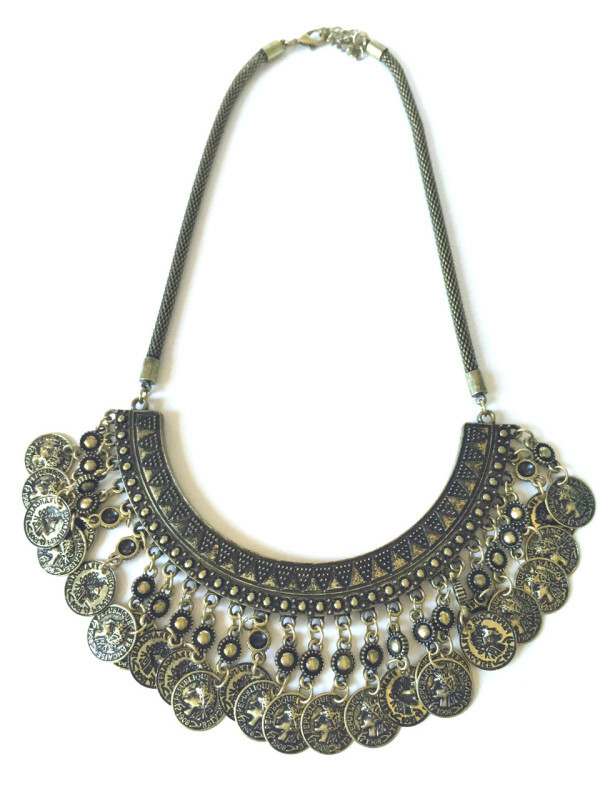 Tags: Coin, Gypsy, statement necklace. Bold and stylish with an authentic old world flair, this statement necklace sends us on a journey to the open markets of the past where vintage baubles and treasures were once found. 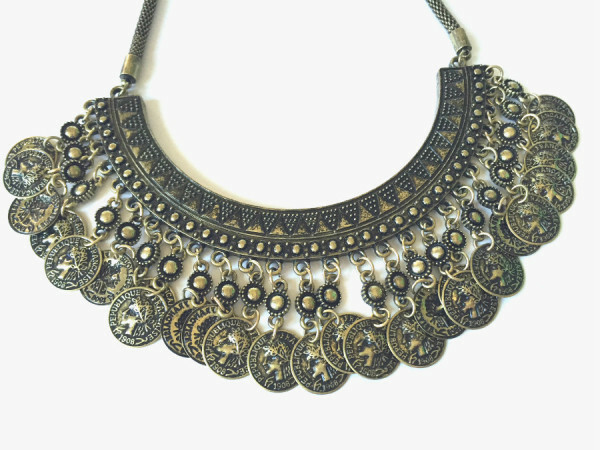 This necklace comes in a burnished gold color with a row of dangling coins draped across to add that extra fabulous vintage touch to any outfit.